Archetype is the fifth studio album by American heavy metal band Fear Factory. It was released on April 20, 2004 through Liquid 8. Archetype was also issued in a Limited Edition Digipak with a bonus DVD. Depending on where the digipak was obtained, the bonus DVD is either for their "Australian Tour 2004" and the video for "Cyberwaste" or one entitled "The Making of Archetype". Some, though not all, versions of the bonus digipak also included a gold ticket that gave the owner a chance to meet Fear Factory live. All lyrics written by Burton C. Bell except "School" by Kurt Cobain; all music composed by Herrera/Wolbers except where noted. "Slave Labor" contains references to the self-immolation of a person against the corporate world, e.g. Kathy Change. "Cyberwaste" contains references to anonymous Internet users who express haughty opinions only because they are "safe behind the cyberscreen". The title track "Archetype" is directed at then ex-guitarist Dino Cazares: "The infection has been removed/The soul of this machine has improved." Frontman Burton C. Bell has said in an interview that "'Archetype,' defines what Fear Factory is, completely. It has classic Fear Factory parts, and the heavy/melodic vocals, but without being forced or contrived." "Bite the Hand That Bleeds" was used in the film Saw and the music video is a bonus feature on one of the versions of the DVD. "Slave Labor" is featured on UFC: Ultimate Beat Downs, Vol. 1. 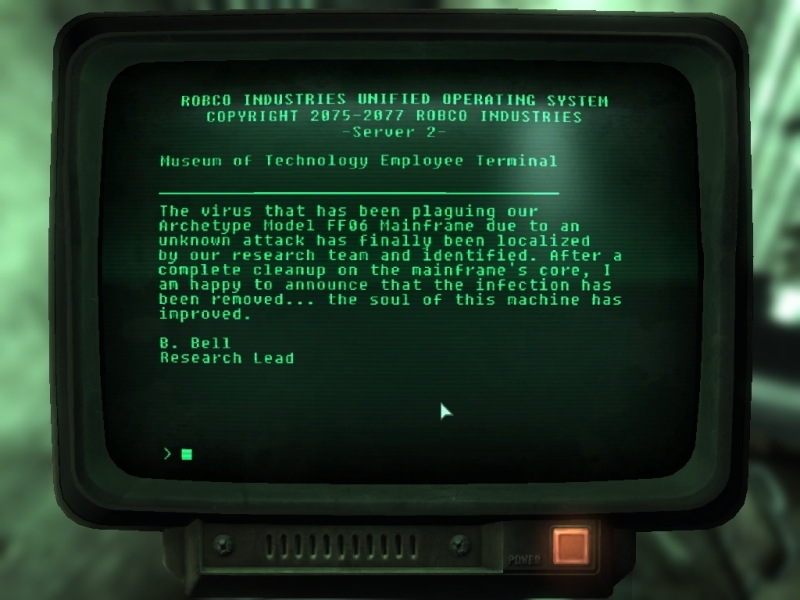 The album and its title song are referenced in the game Fallout 3 on one of the terminals, where a certain "B. Bell" reports on a terminal that the virus on the "Archetype FF06" mainframe has been cleaned, and that "the infection has been removed, the soul of this machine has improved". A remixed version of the song was featured on the soundtrack to OVA Galerians: Rion. ^ "Archetype - Fear Factory". Allmusic. ^ "CoC : Fear Factory - Archetype : Review". Chroniclesofchaos.com. Retrieved December 31, 2017. ^ "Blabbermouth.net - FEAR FACTORY: 'Cyberwaste' MP3 Available For Download". Blabbermouth.net. March 24, 2004. Archived from the original on September 30, 2007. Retrieved April 20, 2007. ^ "The Worley Gig - Fear Factory". The Worley Gig. Archived from the original on November 14, 2006. Retrieved April 20, 2007.